What are the Different Types of Invoice Discounting (sometimes referred to as Debtor Finance)? How To Choose Which Invoice Discounting Product? When Should Invoice Discounting Be Used? Discounting (sometimes referred to as Debtor Finance)? Disclosed Invoice Discounting: In this case the debtor is informed that the invoice has been sold to the finance company. The finance company may liaise directly with the debtors to ensure timely repayment of the debt. Undisclosed Invoice Discounting: In this case the debtor is unaware the debt has been sold. The finance company is not involved in communication with the debtor for payment of the debt (all communication is handled by the business). Depending on the invoice discounting agreement, the finance company may reserve the right to “step in” in certain situations to inform the debtor they own the invoice and to demand payment. Spot Discounting or Spot Factoring: Spot Discounting or Spot Factoring is where the business chooses to sell individual invoices rather than their entire receivables book. fee and the interest charges in order to determine the overall cost of financing. It is often difficult to compare pricing on different debtor finance facilities due to the manner in which fees are disclosed. For a standard debtor finance or invoice discounting facility the business owner needs to consider the combination of the management fee, establishment fee and the interest charges in order to determine the full cost of financing. Keep in mind also that the management fee is typically calculated on the total invoice amount not the advance amount. So for example, on a $100,000 invoice where the advance rate is 75% and the management fee is 3% for a 30 day invoice the true cost of financing is: [3%/0.75] = 4% over a 30 day period. The key considerations in choosing between the different Invoice Discounting products are as follows:. (a) Disclosure: Many businesses do not want to disclose the use of an invoice discounting or debtor finance facility to their customers. Other businesses are fine with the disclosure and in fact some have a preference for having fully outsourced receivables management provided by the debtor finance company. All things being equal, disclosed invoice discounting is typically cheaper as it is seen as lower risk and is provided by a larger number of debtor finance players. (b) Entire Receivables Book vs. Factoring Individual Invoices: Many businesses do not wish to lose control of their entire receivables book and prefer to pick and choose the invoices that they discount. In this case, spot factoring or spot discounting may be the preferred option. Spot factoring or spot discounting of invoices is offered by a number of specialised players who are prepared to take on the greater risk that is typically associated with spot factoring. Spot factoring or spot discounting usually has a higher management fee and possibly a lower Advance Rate but unlike a standard debtor finance facility they do not typically have establishment fees or charge an additional interest rate on top of the management fee or discount fee. 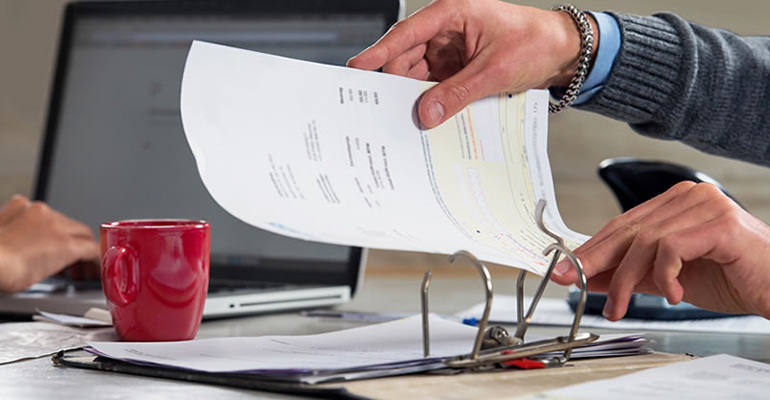 Invoice Discounting or Debtor Finance is a good option for businesses that issue invoices to other businesses for the sale of goods and then collects payment at some point in the future. Debtor finance facilities can be reasonably priced sources of capital, particularly if the business has long payment terms on their invoices and good credit quality customers. Fees. Business owners should understand all of the fees and how they are charged and calculate the true cost of financing. This will allow a more direct comparison with other forms of financing such as Business Overdrafts or Online Business Loans. Many of the Banks have withdrawn from the invoice discounting market in recent years. Several non-bank lenders including Scottish Pacific, Bibby and FIFO offer debtor finance and invoice discounting products.